Hosting an event for your clients is a selfless endeavor. It shows that you’re willing to go the extra mile for the people you do business with. Providing them with a unique in-person experience gives them a chance to continue to build their relationship with you. And as we know, stronger relationships with customers create a higher business value. This is repeat business 101. According to market trends and research, your clients, especially the more tech-savvy and social media-inspired ones, appreciate authentic experiences that they can capture and share with the people they interact with the most. For example, the details they share online about your event allow for more exposure for your brand, driving more visitors to your sites and creating new opportunities and connections. How you decide to arrange your event is important. The location, event setup, types of food and entertainment are all factors worth your consideration. Here are some interesting ways to create a memorable experience for your clients. The food you choose can make or break your event. Your clients will appreciate food that tastes good but also looks like a masterpiece on a plate. Expert caterers who focus on quality know exactly the kind of experience many of your clients are looking for. We believe that food is meant to be as entertaining as it is delicious. Innovative stations are an excellent way to keep your clients engaged. 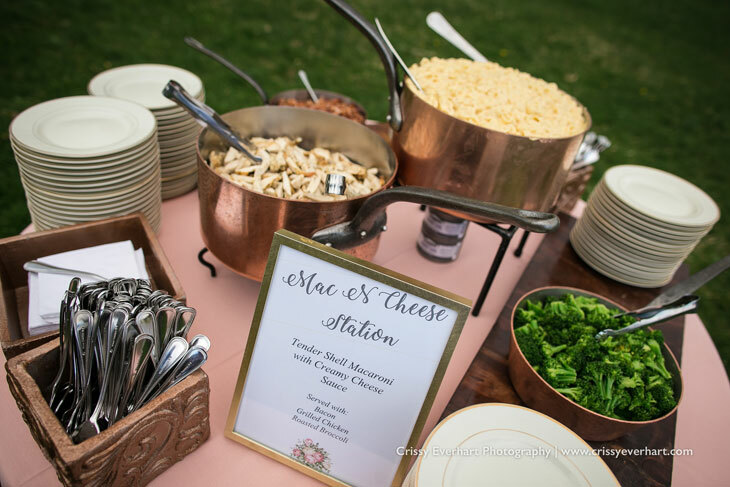 Some recent crowd favorites have been our mac and cheese, slider and Philly cheesesteak stations. Providing your clients with station options that include many different toppings to work with encourages them to customize and have fun with their palates. 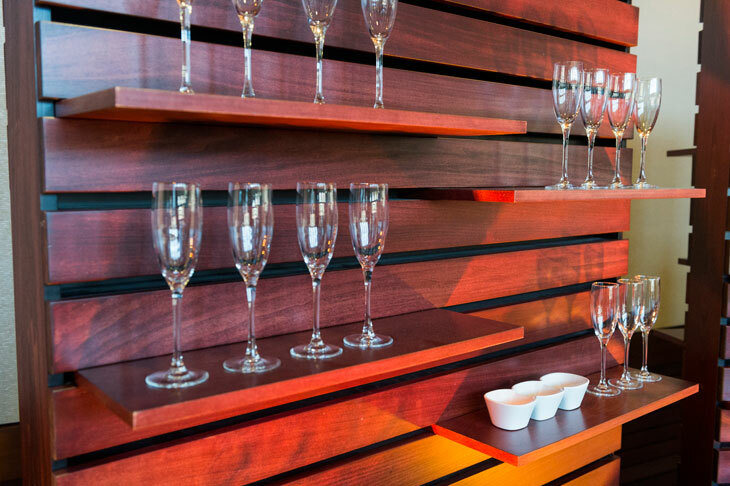 We’re all about the wall trend—featuring complete plates and bowls on shelves is an innovative way to serve food that your clients will appreciate and take delight in. Our team also pulls from a deep well of knowledge on bar service. We oftentimes will coordinate the perfect drink and food pairings for our professional guests. Whether you’re hosting a customer appreciation event for 50 or a cocktail party for 100 guests, a caterer that can offer unique, Instagram-worthy moments with food while maximizing relationship building and repeat business is worth your consideration for your next event. It’s not all about the food. 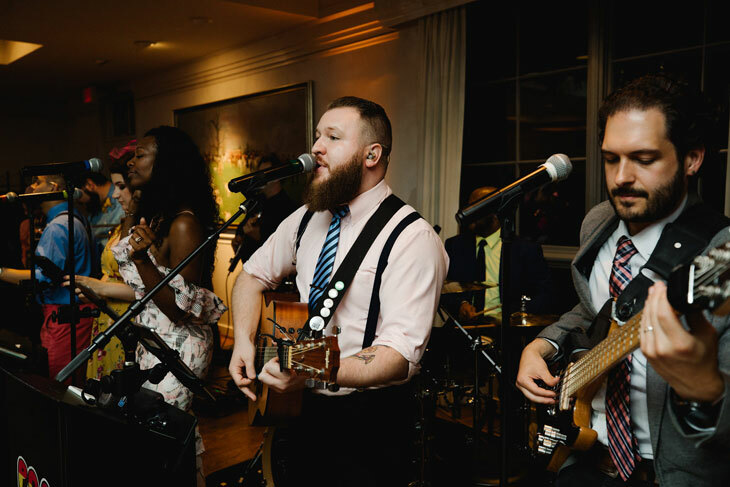 Providing your guests with the right amount of entertainment will liven up the serious mood that often comes with professional events. A unique experience will leave a lasting impression. When selecting a catering company, it may also be worthwhile to inquire about their entertainment connections. Who do they know? Which musicians and artists have they worked with before and can speak from experience about their quality work? Always be sure to express your vision and event goals to your catering company and ask if they have any recommendations or vendors to fulfill those goals. We’ve had the pleasure of getting to work with some of the best acrobats, bands, DJs and other well-known entertainers across Philadelphia. Many times, our professional guests think they’re attending another ordinary client event, and they are surprised with a day that’s extraordinary. Give your guests a real reason to come out! Sometimes you don’t need three DJs or an entire circus. Host a classy casino or game night. This is a surefire way to have fun. 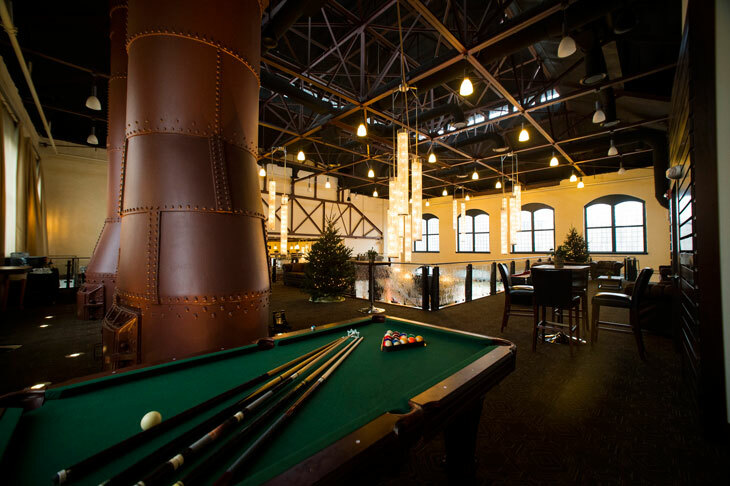 Bring in a ping-pong table or treat guests to a game of pool. Sometimes working with a good event theme can provide its own entertainment. One of our favorite themes to date was this winter ski lodge a corporate client of ours envisioned. 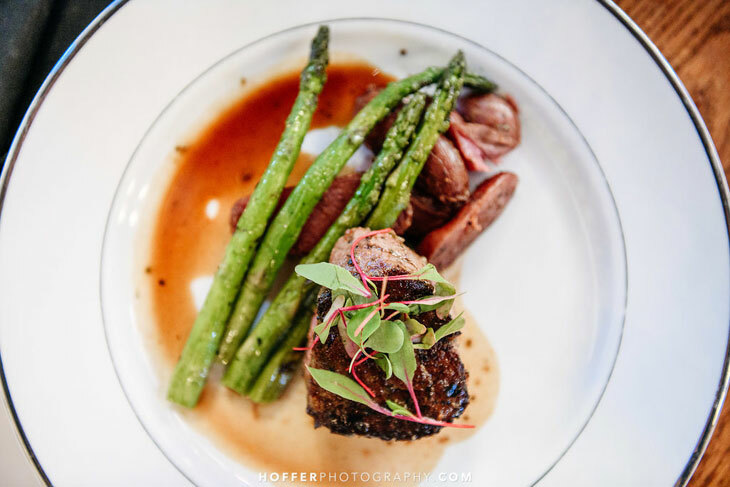 Regardless of the style or size of your event, custom menus, engaging presentation and quality entertainment will lead to a successful outcome for your next client event. If you’re looking for more inspiring ways to entertain and engage your clients, we’d love to share more with you.